Salem Health & Wellness Foundation is pleased to announce a mini-grant program to support classroom breakfast initiatives in Salem County area schools. Research shows that offering school breakfast improves attendance rates and on-time arrival, test scores and classroom behavior. In addition to improving academic performance, there is evidence that school breakfast programs have the potential to reduce rates of childhood obesity, one of the Foundation’s central goals. According to the Food Research and Action Center (FRAC), more than 3,300 eligible Salem County children miss out on school breakfast, making Salem County 16th across the state for school breakfast participation. 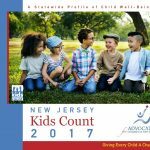 If Salem County achieved 100% participation by eligible students, the county’s school districts would receive about $1 million in additional annual federal funding to provide school breakfast to students, according to Advocates for Children of New Jersey (ACNJ). The Foundation seeks to assist schools in reaching students eligible for free or reduced breakfast. As a School Breakfast partner, you will agree to review your school’s current breakfast practices and to pilot new innovations such as “grab-and-go” breakfast via breakfast carts where students select a carryout breakfast as they arrive at school and take it to the classroom to eat. This model has been shown to greatly increase breakfast participation. Other innovative models for school breakfast are also encouraged. Elementary, middle and high schools across Salem County will be eligible for grants of up to $5,000 from the Foundation to help achieve this goal. Individual grants will be awarded on a rolling basis. Mini-grants may be used for equipment, innovative promotional strategies and events targeted at building breakfast participation. The guidelines below are for School Breakfast mini-grant program ONLY. Guidelines for the general mini-grant program are available here. Project Eligibility: Participating schools must be located within Salem County. Project funds must be used towards start-up and infrastructure to begin a breakfast after the bell program. Applying for Grant: Requests may not exceed $5,000. Requests are accepted on a rolling basis. To submit an application please click here. Grant Payment Schedule: Grantees will sign an award agreement before receiving the funds. Once approved, grants will be awarded in total. Final Report: A final report will be submitted online. This report should include percentage of increased participation in school breakfast, a final expenditure report and plan for the future of your breakfast program. The report will be due 45 days after the project is complete. If you have any questions, feel free to call our office at (856) 299-4460.